Dr. Desiree Herron is a native to the Lake Country area and currently resides in Sullivan, Wisconsin. She graduated from Carroll University in Waukesha, Wisconsin in 2005. She received her Doctor of Optometry degree from The New England College of Optometry in Boston, Massachusetts in 2009. 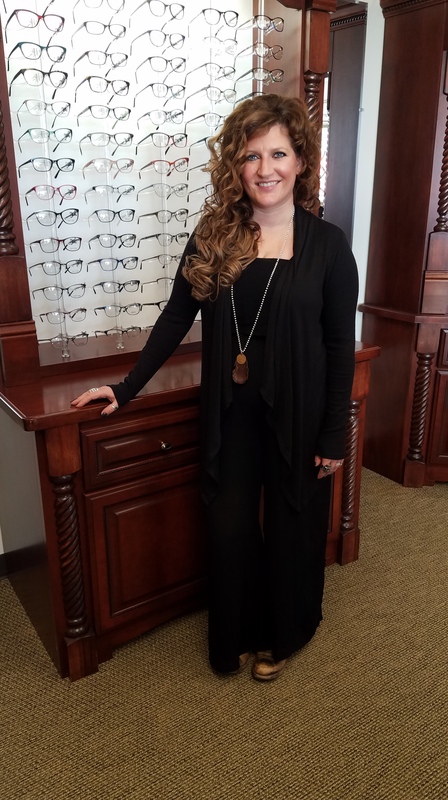 She has worked at various optometry practices in Boston, Waukesha, Milwaukee, and Oconomowoc. Dr. Herron is a member of the Wisconsin and American Optometric Associations and is also active in school vision screenings as well as a participant of the InfantSEE program. Dr. Herron practices primary care optometry including the diagnosis, treatment, and prevention of ocular disease. She enjoys seeing patients of all ages, and has a passion for pediatric optometry. Dr. Herron strives to educate the community on the importance of annual eye exams for people of all ages. “I am passionate about pediatric optometry, because I love to watch my patients grow and develop.” In addition, Dr. Herron is proficient in fitting patients with specialty contact lenses. She also places a strong emphasis on patient education and prevention. In her free time, Dr. Herron enjoys spending time with her amazing husband, four children, and her puppy. They all enjoy spending time outdoors and exploring the beautiful Lake Country area.